CRIME, GUNS, AND VIDEOTAPE: The FAA and CNN Agree on Using Drones For Electronic News Gathering! The FAA and CNN Agree on Using Drones For Electronic News Gathering! This is an Align quadcopter with a Panasonic GH4 4K motion picture camera perfect for electronic news gathering assignments. Atlanta, GA—All Federal Aviation Administration regulations were and are conceived and written in blood, literally! That is, that there is a deadly aircraft accident behind every rule. That has always been the case except when it came to drones. We all must take safety seriously and any legitimate concern deserves study and respect. The drones are somewhat expensive and their owners simply don’t want them damaged through recklessness. For some strange bureaucratic reason the FAA has outlawed the use of a drone to make money. As un-American as that seems, they’ve gotten away with this form of economic tyranny. The FAA has always allowed the use of drones for recreation and hobby activities with scant few restrictions. Rather than make rules just last month they’ve finally issued a few advisory Dos and Don’ts for those drone operators using devices that weigh less than 55 pounds. 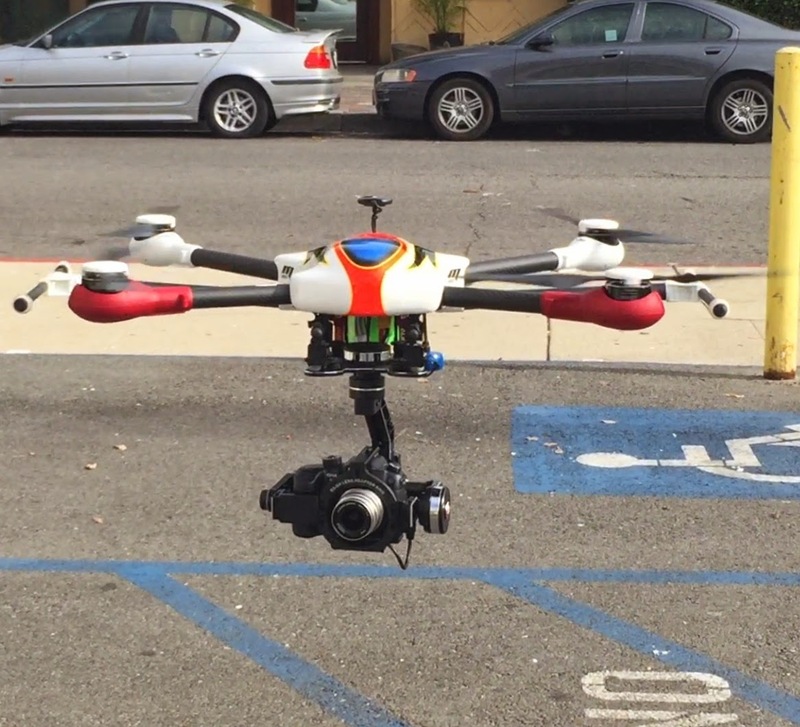 There are now well over a million little multi-rotor camera drones in the hands of Americans. Still there’s still never been a reported fatal, serious injury or property damage accident with a multi-rotor drone. There is still no blood evidence available for any traditional FAA rule making. The FAA like all government agencies wants to build their kingdom and expand their power and jurisdiction whenever possible. Drones are the perfect excuse to give us much more government we don’t need. TV news organizations have been buying drone video footage from freelancers willing to assume the risk of doing battle with the FAA. Lost somewhere in this shuffle are any concerns about our First Amendment rights to capture images with cameras. Many news organizations have already acquired drones and have been using them clandestinely or at least experimenting with them. One drone use application has suddenly been granted with an exciting and groundbreaking agreement between the FAA and CNN allowing for the use of various drones in their news operation. The obvious safety concerns for drone newsgathering are related to flying over the heads of people and their property. Are drones a safety threat? Statistically the answer is a resounding no! Chicken Little, is a folk tale with a moral in the form of a cumulative tale about a chicken who believes the world is coming to an end. The phrase "The sky is falling!" features prominently in the story, and has passed into the English language as a common idiom indicating a hysterical or mistaken belief that disaster is imminent. Versions of the story go back more than 25 centuries; it continues to be referenced in a variety of media. Thankfully Chicken Little’s prediction has not yet been realized. Rather than making rules based on real blood, when it comes to drones the FAA has taken the Chicken Little route. Common sense for drone operators would dictate that avoiding close contact with people or delicate property is necessary. Rather than fly directly over crowds photographing the action from a 45-degree angle is safe, reasonable and will provide superior video or still images. A multi-rotor drone operator would be foolish to begin flying in an urban setting or areas where there are too many trees. Learning the ropes in a wide-open field until reasonable control skills are acquired is a must. We all know about those epic and deadly news, rescue, military and police helicopter crashes. There is no question that drones are much safer than helicopters. Should there be a camera drone mishap in an urban area the likelihood tragedy or property damage is nearly zero! I’m convinced that there will never be a notable accident with a drone being used for newsgathering. There will be some mishaps that will damage the drones but the public and their homes will remain unharmed.